Build a Unique Website - Stand Out Among your peeps! Need to kickstart your startup or existing business with an stunning website? 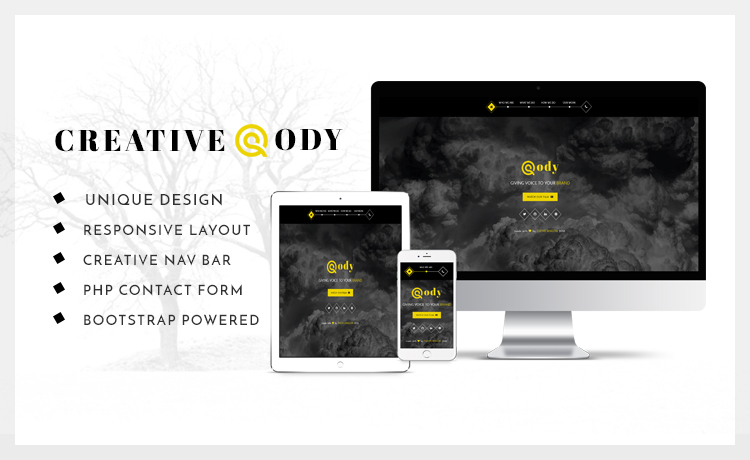 Try Cody, a flexible, well-crafted template with Unique Navigation. Set your website apart with a unique design - Make a memorable impression! We're always trying to make better web templates for you and we'd love to hear about your experience. Please take 2 minutes to help us improve your experience by your opinion. Your response matters to us.